Inject a little Seksy, sassy style into your wardrobe, with this glitzy stone set bracelet watch by Sekonda. Featuring a rich rose gold-plated stainless steel bracelet and case, crystal set links and dazzling crystal bezel. Perfect for partying. 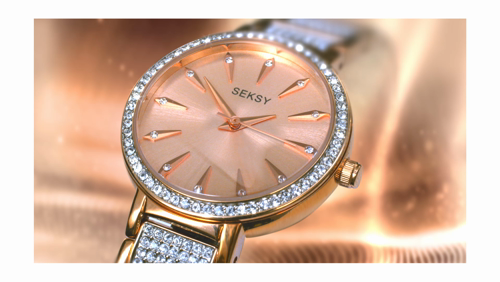 Seksy offers innovative designs showcasing captivating sparkle to create beautiful timepieces with a unique edge. 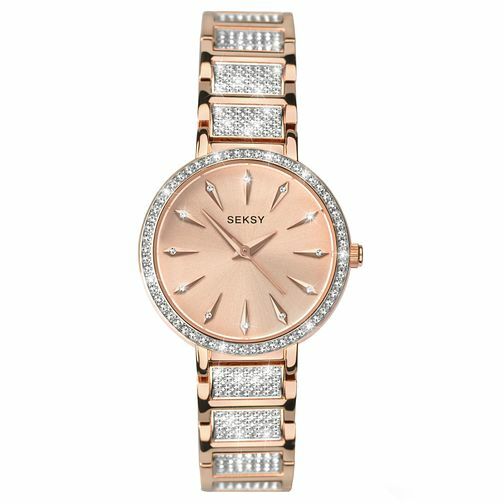 Seksy Ladies' Rose Gold-Plated Bracelet Watch is rated 5.0 out of 5 by 4. Rated 5 out of 5 by Anonymous from Seksy Watch Beautiful watch , great package and most important great price. Rated 5 out of 5 by Anonymous from Stylish and Elegant Perfect for anyone wanting something a bit different. Beautifully made.